Despite the lack of rain there are plenty of blooms around the yard that never fail to show thier face. 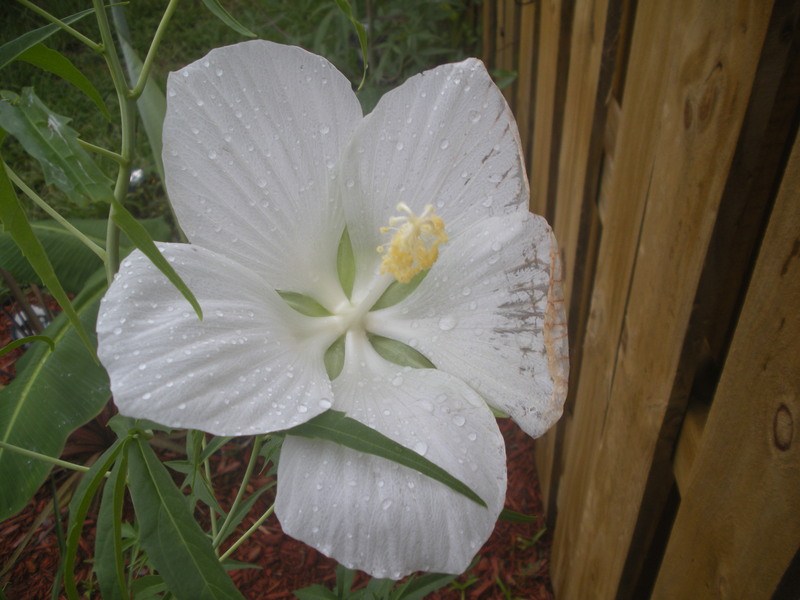 I said I would show you the Texas White Star Hibiscus when it bloomed, so I included picture of it. The Castor Bean as really filled back out after a storm took out a section. I hope it will at least survive this year, but we have storms moving in now at 1:08am and you know these storms are serious to have formed in the middle of the night. Then we have all of the stuff in the Atlantic Ocean that I am confident could take out the tree. The rain would be nice though and would add some interest to the boring FL weather. I don’t want anything dangerous, but the rain would be nice. This entry was posted on 13 August, 2009 at 1:13 am	and is filed under General. 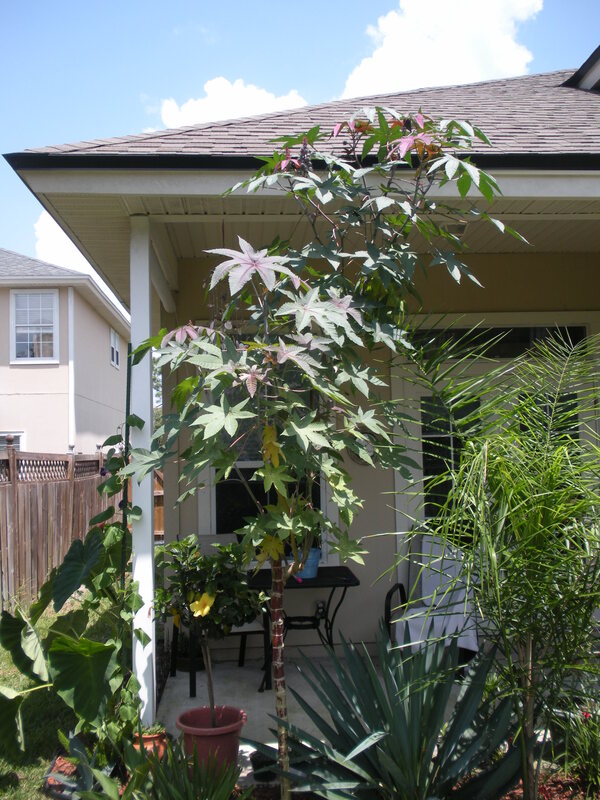 Tagged: Castr Bean Tree, florida, jacksonville, mexican petunia, northeast florida, st. augustine, Texas White Star Hibiscus. You can follow any responses to this entry through the RSS 2.0 feed. You can leave a response, or trackback from your own site. Castor bean plants grow like weeds here in Mumbai but I think they’re very pretty in an architectural-kind of way. Its a pity its so invasive (here at least). I really echo your feelings about rain, though. We’re in the middle of our monsoon season and there’s no rain in sight.And we need it really bad! You are probably worst off in the rain department since you are suppose to be in monsoon season. Castor Bean hasn’t proven to be very invasive for me so far. I think the reason being is I try to cut off the blooms and storms here seem to knock the blooms or seeds off the tree before the seed can mature. 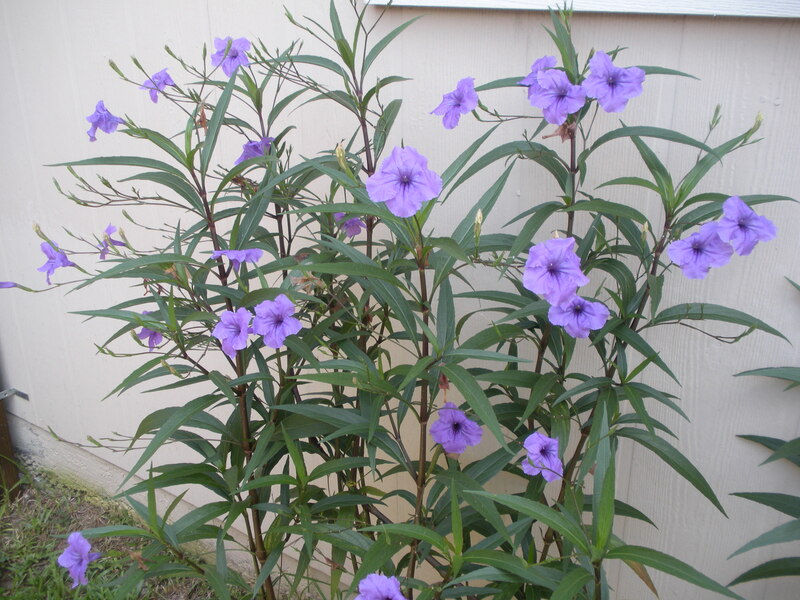 I have seen them growing wild in Orlando close to the downtown area where thier are fields next to the interstate. I believe they are beautiful plants as well. We are getting storms now, nothing major, just thunder and light rain. That Banana is probably my best grower out of al of my Bananas. The Red Leaf Hibiscus looks really cool and I hope that is your mystery seed. Thanks, I never noticed, lol.